This post is part of my Favorite Vegan Things theme for Vegan MoFo 2013. My first favorite meal was accidentally a vegan one. When I was young, I adored canned green beans and tomato soup (which I called red soup – hey I liked to call things as I saw them). In fact, I was so obsessed with this meal that at the age of 3-4 years old, I ate it for every lunch and every dinner. For one year. Yep, you read that right. A whole year. No joke. But back to the food. I craved the tart yet sweet tomatoes, transformed into a smooth, creaminess gliding past my tongue. I hungered for tender, delicate green beans. So you might think I’d be sick of them. Nope, I still savor juicy tomatoes and crisp green beans. Although I no longer eat the canned beans…unless I’m feeling a bit nostalgic. 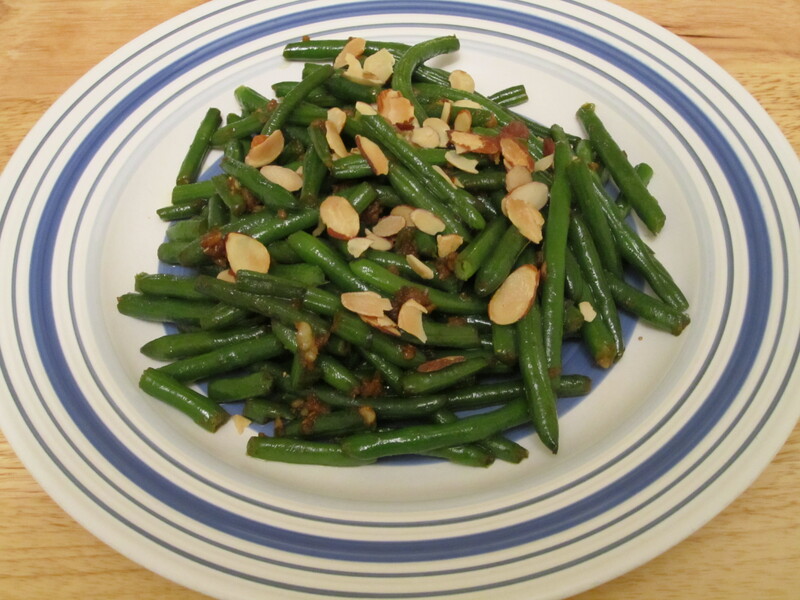 Besides eating green beans as a side dish – either garlic-ginger green beans with roasted almonds or just drizzled with olive oil, salt and lemon juice – I also toss them into vegan mac n’ cheese and mushroom and green bean risotto. Tomatoes are most definitely a staple of my kitchen. I eat tomatoes raw like apples with some sea salt sprinkled on them. I make tomato sandwiches (another staple of my youth) and whip up sauces (hearty mushroom tomato sauce, roasted red pepper and tomato sauce) and Thai curry. I toss them into brunch dishes (tofu scramble, tomato basil strata, broccoli, mushroom & tomato tofu quiche), warm potato salad with mashed avocados, rice, burritos, baingan bharta, and soups (Italian minestrone, quick and easy veggie soup, Moroccan spiced tomato, chickpea and zucchini stew). Mmm…I’m getting hungry just typing about tomatoes and green beans! And who knew that my favorite childhood meal would also happen to be vegan. Huzzah! 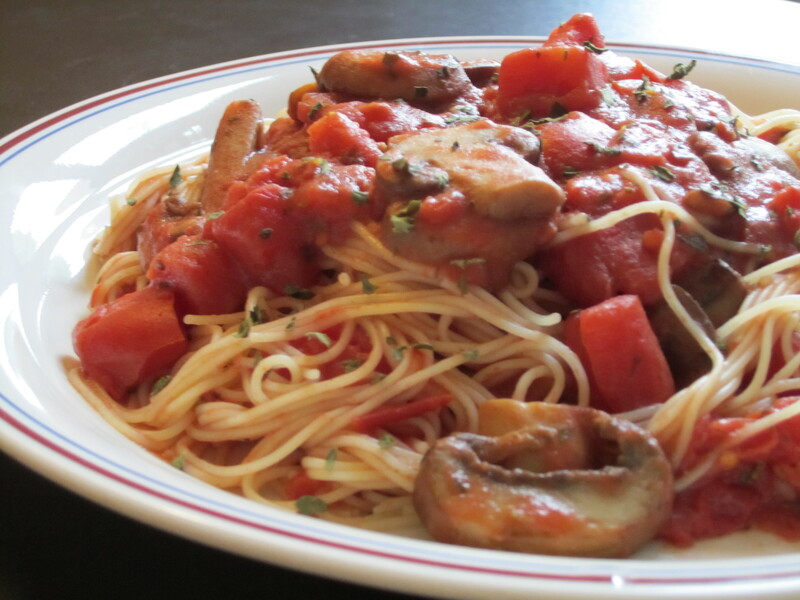 So what’s your favorite first vegan meal? 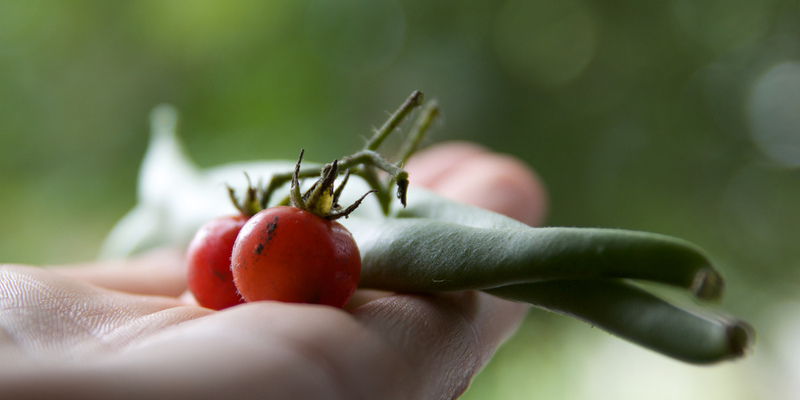 And what are your favorite dishes to utilize tomatoes or green beans?? Top photo by Qmnonic via Flickr and the Creative Commons License. All other photos by The Opinioness. Tags: food, Green bean, Tomato, vegan, Vegan MoFo, Veganism. Bookmark the permalink.